Replacement Steering Kit for Jeep Wrangler (YJ) (1991-1995). 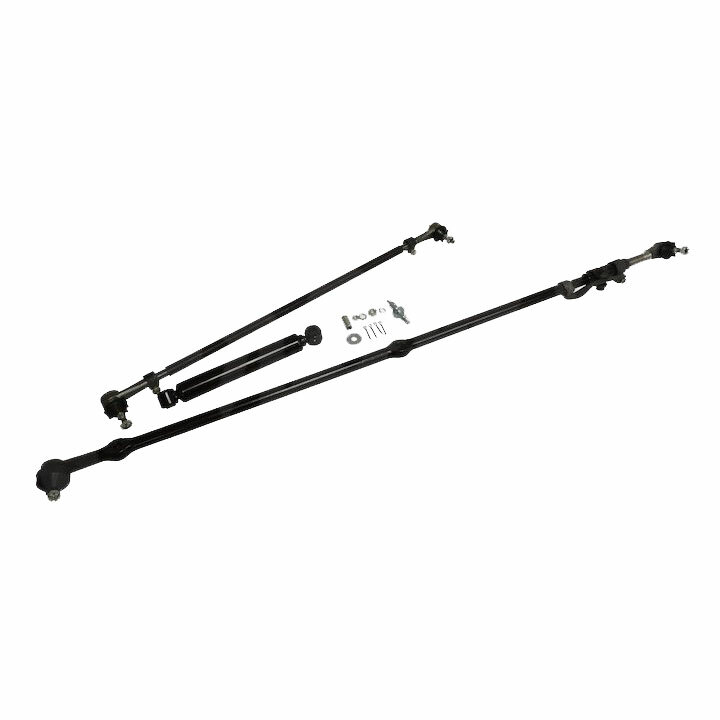 Kit Includes All 4 Tie Rod Ends, Adjusters with Hardware, and a Steering Stabilizer. Crown Automotive's Steering kits are an affordable way to eliminate looseness in your old OE, worn out steering linkage. Included in each kit are all the tie rod ends, adjusters, and hardware necessary to mount the kit, as well as a steering stabilizer. All of our steering components are engineered to exactly match the factory design so It'll be guaranteed to bolt in place of the OE steering without any hang ups. Each kit is backed by a 12 month warranty.